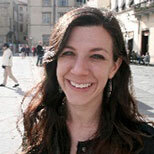 Sena Christian is a Ted Scripps fellow in Environmental Journalism at the University of Colorado Boulder. Originally from Sacramento, her writing has appeared nationally in Newsweek, The Guardian, YES! Magazine, Christian Science Monitor, Earth Island Journal and Civil Eats among others.